Regardless of their age or nationality, many women attempt to defy aging by preserving good skin and natural beauty. Female celebrities, whose appearance is crucial for their work, create their own ways to maintain great-looking skin. The Korea Herald has listed the top five female Korean celebrities with good skin and their secret tips for facial cleansing. Actress Go Hyun-jung’s luminous and youthful skin is legendary in Korea. Few people imagine that she is 43 year old. Not only is her skin youthful, Go’s face is also nearly flawless, even without makeup. One of her beauty tips for washing your face is “following the textures of your fine hairs.” “Fine hairs” are the peach fuzz on your face. When applying cleansing lotion on face, Go applies it according to the direction of the fine hairs. When rubbing or cleansing her face, however, she does it against the direction of the hairs. This cleansing method has been famous since she released her first-ever beauty book, “Go Hyun-jung’s Texture,” in 2011. The book became a best seller, selling out in only two days. 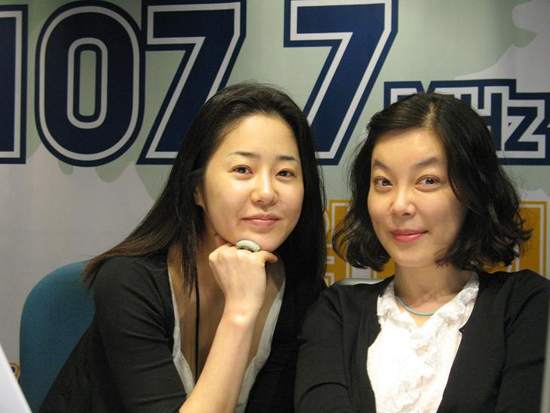 A former member of idol group Sugar, Park Soo-jin also boasts flawless skin. Her know-how for face-washing involves three steps. 1) Apply a cleansing cream to your face and smoothly spread the cream with warm hands. Rinse your face with lukewarm water but splash it with cold water at the end. 2) Apply a foam cleanser on your face and rub gently. Just like the previous step, rinse your face with lukewarm water but splash it with cold water at the end. 3) Put foam from a soap made of egg whites on your face and wait for 5 minutes. You may feel your face getting tighter and the pores contracting. Beauty star Lee Min-jung also has a clean, youthful face. Rather than using typical types of cleansers such as oil or cream, Lee uses a mist-type cleanser. She sprays cleansing mist on her face and waits for a minute until the makeup comes off. In this way, she avoids using her hands while cleansing. Once most makeup comes off, Lee rinses her face with lukewarm water. Rubbing your face while cleansing is considered one of the easiest ways to accelerate aging. 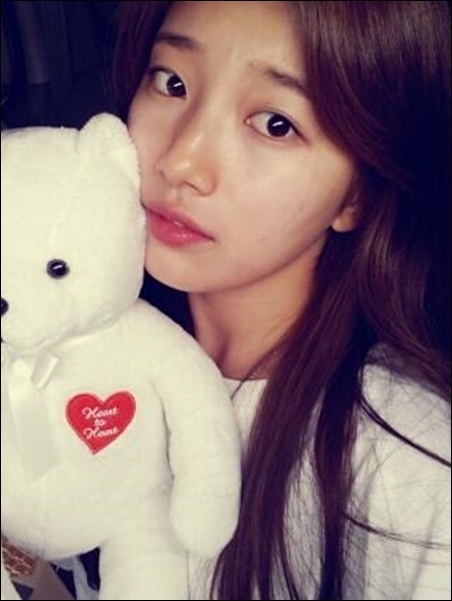 Miss A member Suzy’s no-makeup face is also flawless. 1) Apply a cleansing oil and circle-massage for 4 minutes against the direction of the skin texture. 2) Apply a foam cleanser and continue massaging for 2 minutes. 3) Rinse for 4 minutes with lukewarm water. Try to avoid touching your face your hands. Actress Son Ye-jin is also famous for good-looking facial skin. Though it has been over a decade since she debuted, Son still looks nearly the same. Her beauty tip for facial cleansing is using a steam towel. 1) Before beginning the cleansing work, put a hot steam towel on face for a minute to open the facial pores. 2) Upon the steam towel, massage your face with your hands, especially around the forehead, temples and cheekbones. 3) Cleanse your face with an exfoliating cleanser. 4) Rinse your face with ice lemon water. This helps the pores contract.